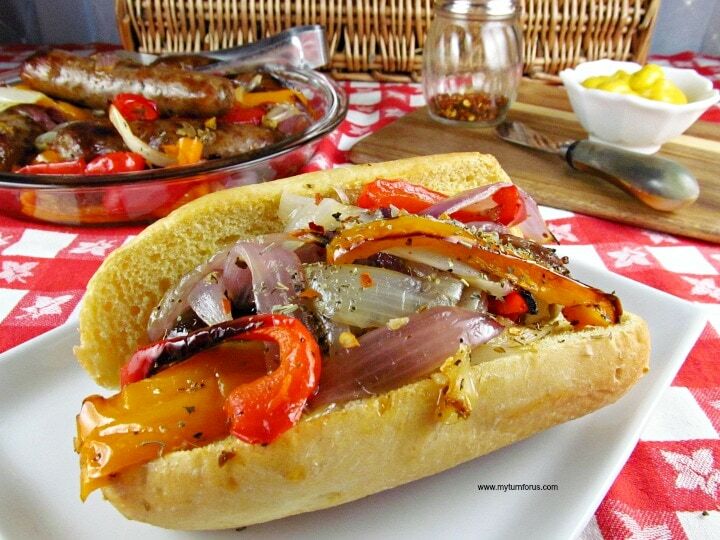 An Italian Sausage and Peppers Hoagie makes a quick lunch or weeknight dinner dish. 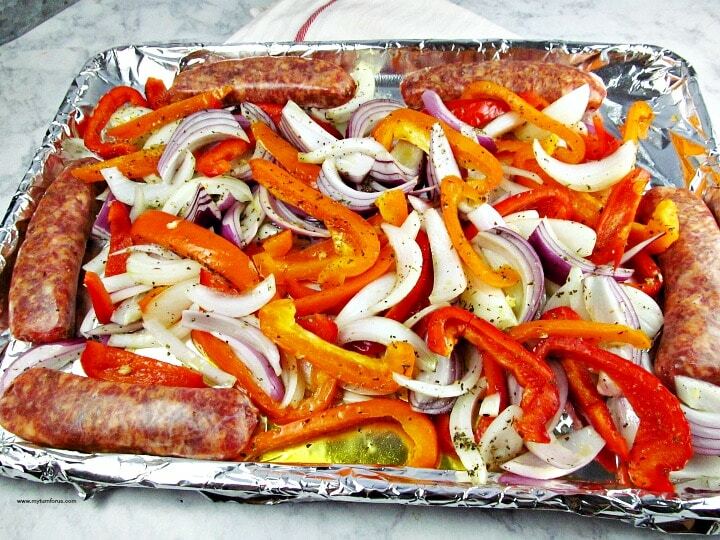 This Easy Sheet Pan Sausage and Peppers recipe can have dinner on the table in about 30 minutes. 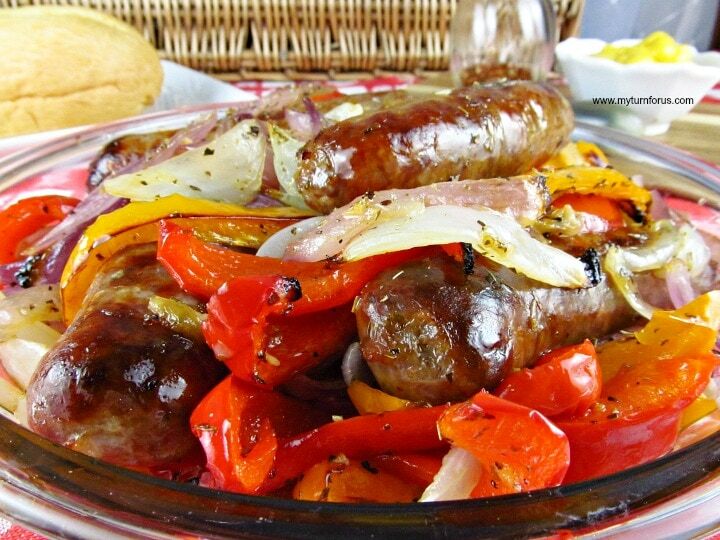 But it can also be served as Baked Sausage and Peppers without the bun for a lower carb version. This Italian Sausage and Peppers on a bun is a mild version of our favorite Italian sandwich. 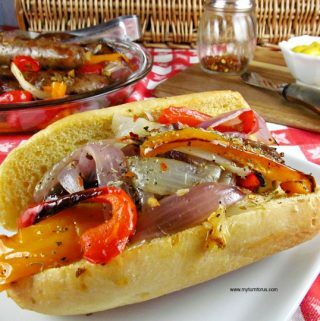 Roasted Sausage and Peppers can either be served as it or in a bun. 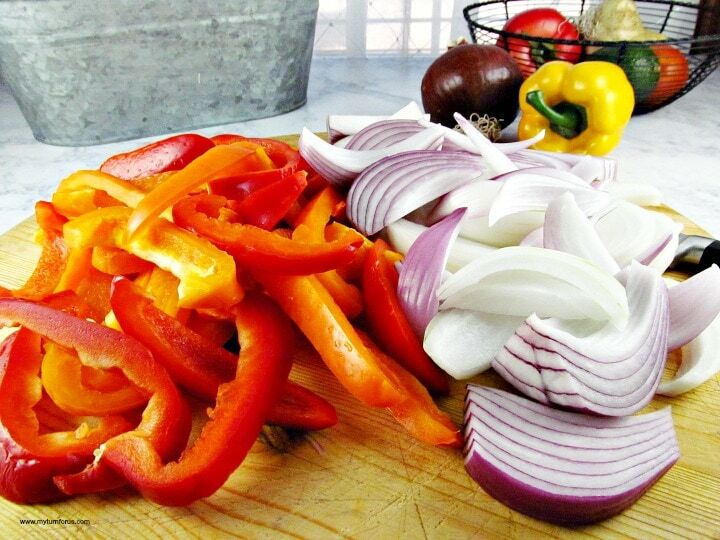 Slice red or orange bell peppers and purple onion into strips. 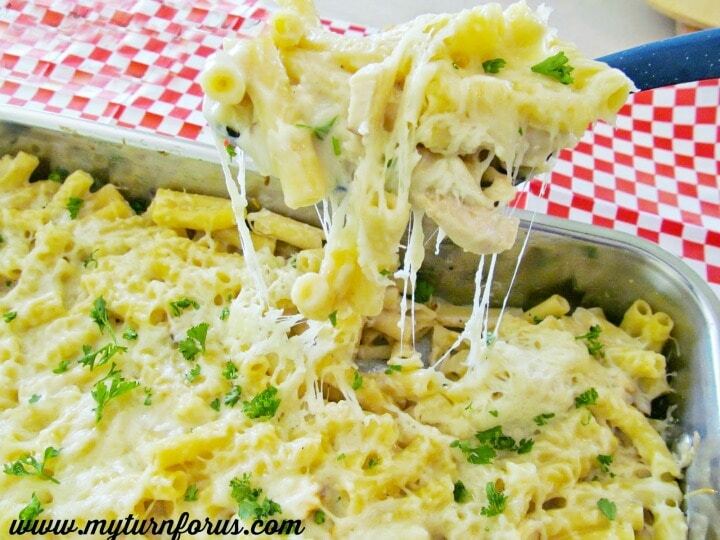 Place in a large mixing bowl, add basil, oregano, and garlic. 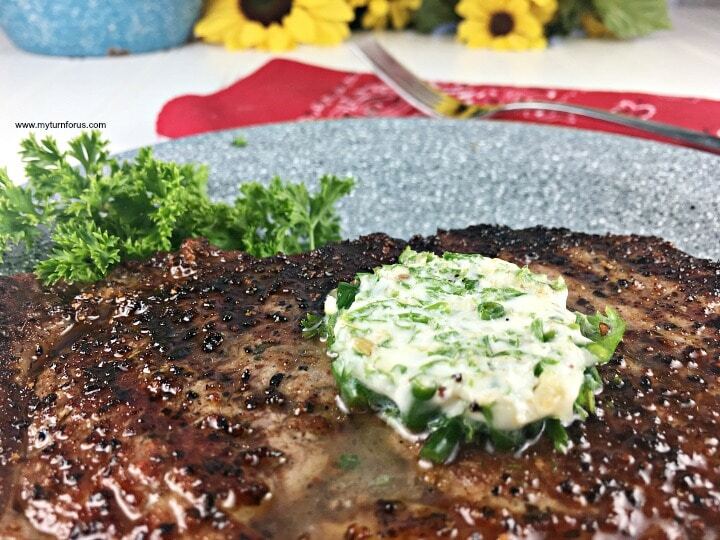 Season with salt and pepper and toss to distribute the seasonings evenly. Cover a large sheet pan with foil for easy cleanup. 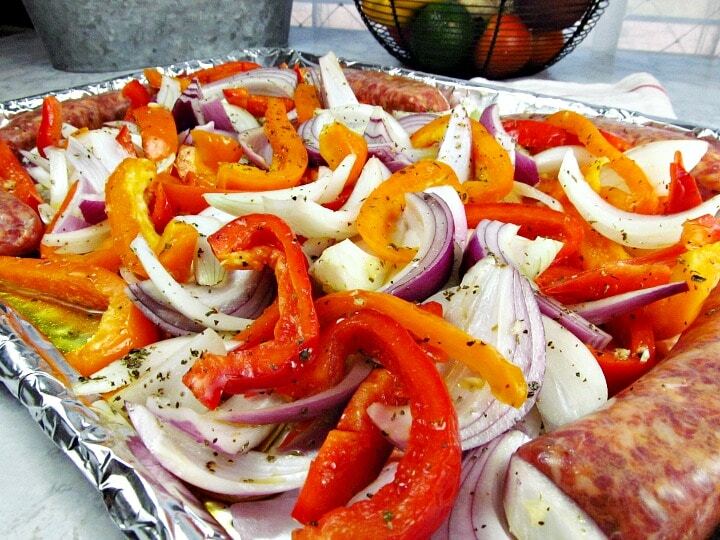 Spread the seasoned peppers and onions onto the covered sheet pan. Place uncooked sausages around the edge of the sheet pan. If using cooked sausages, wait to add until the last 15 minutes of cooking time. 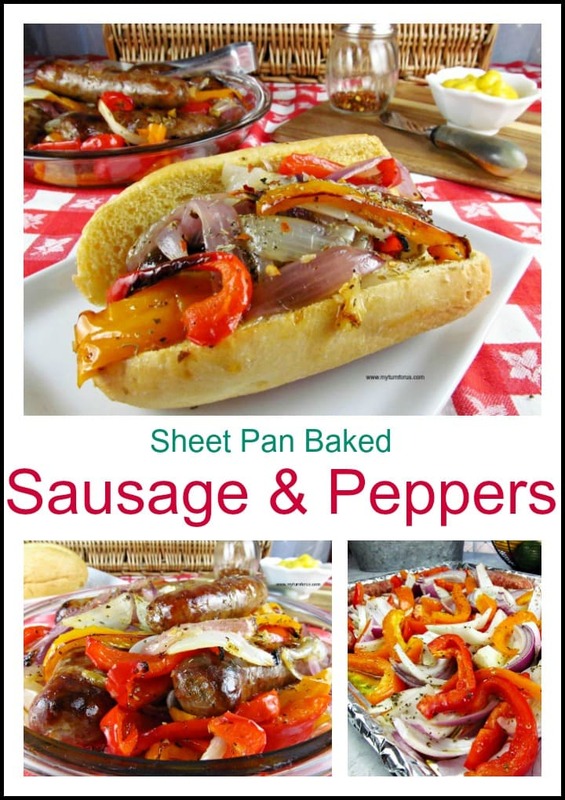 This Easy Italian Sausage and Peppers dish can either be served as is or made into a Sausage and Peppers Hoagie. Either way, it’s a delicious lunch or dinner dish. See more sheet pan dinners with this Cookbook, One Pan and Done, Hassel free meals from the oven to your table. Place pepper and onion strips in a bowl, add basil, oregano, garlic and season with salt and pepper. Add olive oil and toss to coat and spread on a cookie sheet. Cook for 30 minutes, tossing the veggies and turning the sausages halfway through cooking.